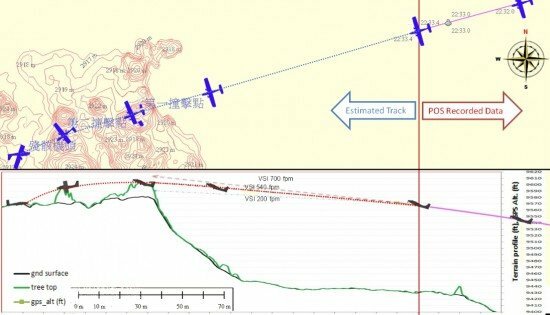 A Taiwanese Britten-Norman BN-2 Islander was unable to clear a forested mountainside while attempting to climb out of a valley following an aerial photogrammetry flight and crashed, killing all three crew members. On August 30, 2012, a Britten-Norman BN-2B-26 Islander, registered B-68801, took off at 07:26 hours from Taipei-Song Shan Airport. The aircraft was contracted to perform an aerial photogrammetry mission with a captain, a first officer and an aerial photographer on board. The mission was to be conducted in the Hualien and Taitung area, and the flight would proceed to Taitung Airport for landing. Eighteen minutes after takeoff the instrument flight plan was cancelled and the flight proceeded according to visual flight rules (VFR). 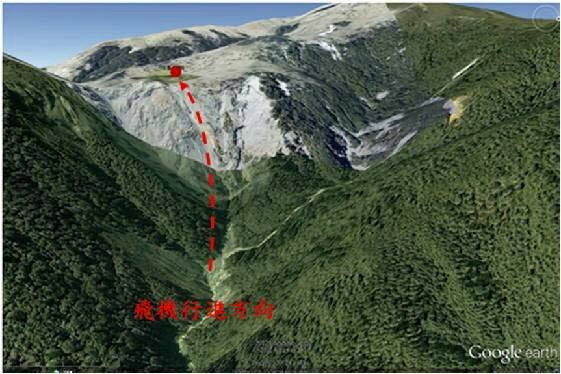 At 08:27, the aircraft entered the Hualien County aerial photograph area, maintaining 8,300 feet to 8,500 feet altitude. From 08:37 to 08:43, Taipei Approach informed the flight crew: “Radar can’t cover you…make sure maintain visual flight”. An investigation by the Aviation Safety Council (ASC) revealed that the crew decided to perform an aerial photogrammetry mission at Morakot after finishing their planned mission. Aerial photography in this area had been behind schedule. Weather conditions in the area were fine, but the flight crew had not planned this mission. After completing a north to south photography line the aircraft turned 280 degrees to the right and attempted to climb to get out of the valley area. The pilot flying put the plane in a 20 degrees pitch attitude, flying close to stalling. The airplane failed to clear the mountains and impacted trees on a mountainside.